Osteopath Eduardo Hernandez C.O. 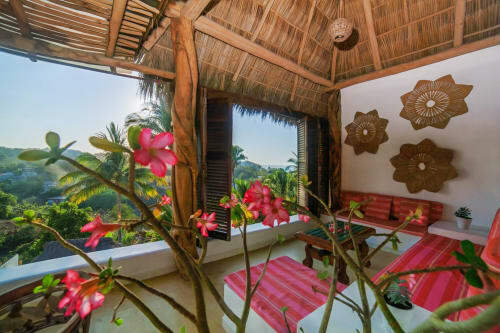 / Integrative Medicine & Bodywork in Sayulita offers osteopathic medicine and wellness including therapeutic massage and yoga through personalized therapy at your home, hotel, or vacation rental villa. Osteopathy is a medical system of assessing, diagnosing, treating and preventing a wide range of health problems; combining an allopathic and holistic approach to wellbeing. It does not simply concentrate on treating the problem area, nevertheless it uses manual techniques along nutrition and lifestyle advices designed to help restore normal function and to facilitate the body's healing process. Osteopaths treat people of any age, from children through to the elderly. Osteopathic treatment is helpful for people in any situation - pregnant woman and post delivery recovery, athletes in pre, during and post performance, post-traumatic and post surgical recovery, and more. Osteopathic treatments positively impact the nervous, neuroendocrine, circulatory, digestive, lymphatic, fascia and muscle-skeletal systems; improving body function and overall health. It brings about internal improvements in the body and in most cases without needing or delaying invasive surgical treatment. Please use the contact form to get in touch with any questions and to book an in-home treatment. 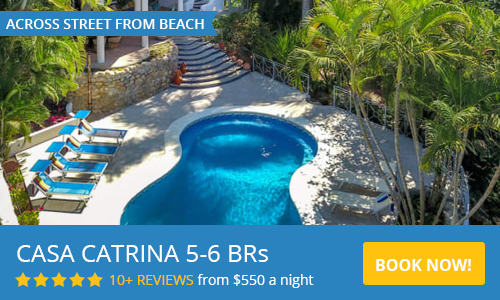 Although based in Puerto Vallarta, we come directly to your home, hotel, or vacation rental villa in Sayulita. However, as osteopathy is an allopathic and holistic form of healthcare which helps individuals improve or restore health and well being, there are many other reasons someone may visit an osteopath. I highly recommend Eduardo Hernandez. His training and skill in Osteopathy is further enhanced by his extensive knowledge of other healing modalities. Eduardo’s background, coupled with an exceptional intuitive sense, makes him a gifted holistic healer. I found him to have genuine and care and concern for helping me find relief. Also, for anyone wanting to explore the emotional causes of their chronic pain, Eduardo is a compassionate guide whose treatments facilitate release from past traumas stored in the body. The result is relief from pain and a restoration of wellbeing. Thank you, Eduardo! Eduardo helped me so much with pain that I've been having with for more than 3 years! I was recently treated by Eduardo Lalo , Osteopath, of Breathe Bliss Osteopahic Medicine for ongoing stiffness in my neck and back muscles. Eduardo assessed the situation and adeptly manipulated my back and neck to provide instant and ongoing relief from this discomfort. He is very professional, knowledgeable and caring in his treatment. I highly recommend the therapeutic benefits that Eduardo provides in his osteopathic treatments. 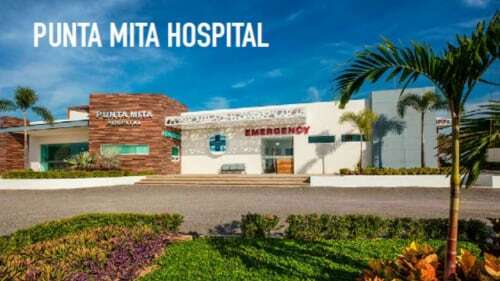 Eduardo is a truly excellent osteopath whom I would highly recommend; after scouring the internet I changed my travel plans to visit him in Puerto Vallarta, suffering from chronic back pain caused by two separate accidents. He spent as much time with me as I needed and was kind, caring and genuinely concerned for my well-being. I was most impressed with his holistic approach, searching for the root of the problem so as to make healing as long-lasting and effective as possible. He demonstrated a tremendous level of knowledge regarding the physical body coupled with an acute sense of intuition. The result was a feeling of restored balance of body and mind and I walked away pain-free for the first time in over twenty years. I will definitely visit again if I find myself back in PV. Lalo does phenomenal body work with such great compassion, knowledge, and insight. I’ve had issues with my vision, memory, balance, head and neck pain since a bad fall on Easter. It was unnerving to me, because I thought I should have been better by now. I wasn’t. Lalo was highly recommended by friends of mine who he has helped with in the past. I’ve had noticeable improvement after only one hour and a half long session. Major stress, and anxiety relief also. I have extended my vacation in Sayulita to have him work with me further. He is so kind, listens, truly cares, and doesn’t rush through an appointment. I trust Lalo’s care completely. Lalo is an incredibly comprehensive osteopath with an amazing ability to “connect the dots” with regard to nutrition issues, past injuries or stresses and physical body issues you may be having. He treated me over several sessions for my frozen shoulder problem I had been having for over a year. His ability to zero in on areas of my body through pressure points and manipulation that were separate yet connected to the areas where I was having problems was uncanny. Equally, he was able to zero in directly to the area that was having trouble and deeply work my shoulder and surrounding areas in a process that was both challenging and rewarding. Within each session I was able to increase the range of motion and strength that I absolutely could not have achieved without Lalo's amazing body work. I was impressed by the thoroughness of his questions, his breadth of knowledge of the body and him taking the time to educate me, and all the time he took in each session once the physical body work began. I would highly recommend Lalo to anyone needing therapeutic body work! He is hands down the best body worker I have ever had the privilege to employ. He also comes directly to you with his massage table which is so convenient. After a session with Eduardo I feel better. My back and hips receive the alignment and relief they need. I leave feeling encouraged and uplifted by his optimistic personality and appreciate the techniques I learn to prevent further injury to my body. I look forward to our next session. Eduardo Hernandez is a passionate and caring Osteopath and a Puerto Vallarta native who has been sharing his work and service in the bay and around for 8 years. He got his degree from the worldwide known school Escuela de Osteopatia de Madrid, Spain. During his traveling to Canada, The United States, Europe, and Mexico, people who have been searching to heal and to learn, have tremendously benefited from his knowledge, work, and caring.